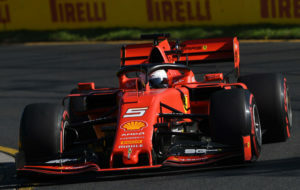 RedArmyBet brings you the latest betting preview, tips and enhanced odds ahead of the 2019 Chinese Grand Prix. The Chinese Grand Prix is a race Hamilton has dominated in the past with five victories between 2008-2017, but a sixth success seems unlikely as although they won in Bahrain, it was clear to see that Ferrari have the best engine and China is a track that has favoured that in the past. If they can improve their reliability, then it’s very difficult to oppose them here. The young Monacan showed the Italian manufacturers clearly have the better car, yet Vettel could only manage fifth in Bahrain after yet another high-profile mistake – spinning his car while being passed by Hamilton. The German has yet to bury the memories of 2018, where he made a number of errors. Despite overtaking Leclerc at the start, he was out-driven by his younger rival and had it not been for issues out of his control, Leclerc would have won his maiden Grand Prix. The 21-year-old looks like a future champion in waiting and the pain of the Bahrain can ben ended with victory in Shanghai. In the minor honours, other Ferrari engine cars are sensible to follow. Outside of the ‘Big Three’ teams (Ferrari, Mercedes and Red Bull), Alfa Romeo have amassed the most points in the Constructors title. Kimi Raikkonen is responsible for all 10 of them with finishes of eighth and seventh so far, and the Finn should be backed to go one better for a top-six finish this week.